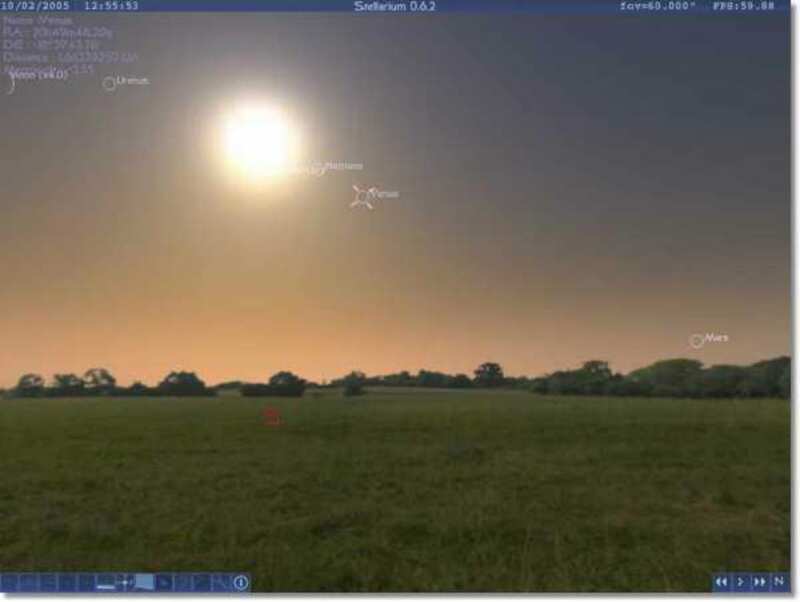 An interesting feature in Stellarium is that as time passes, the virtual star system will evolve, with the sun setting and the various constellations becoming more prominent in the dark night sky. You have a selection of visual effects that you can switch on or off such as the atmosphere, or trace lines for the star systems. 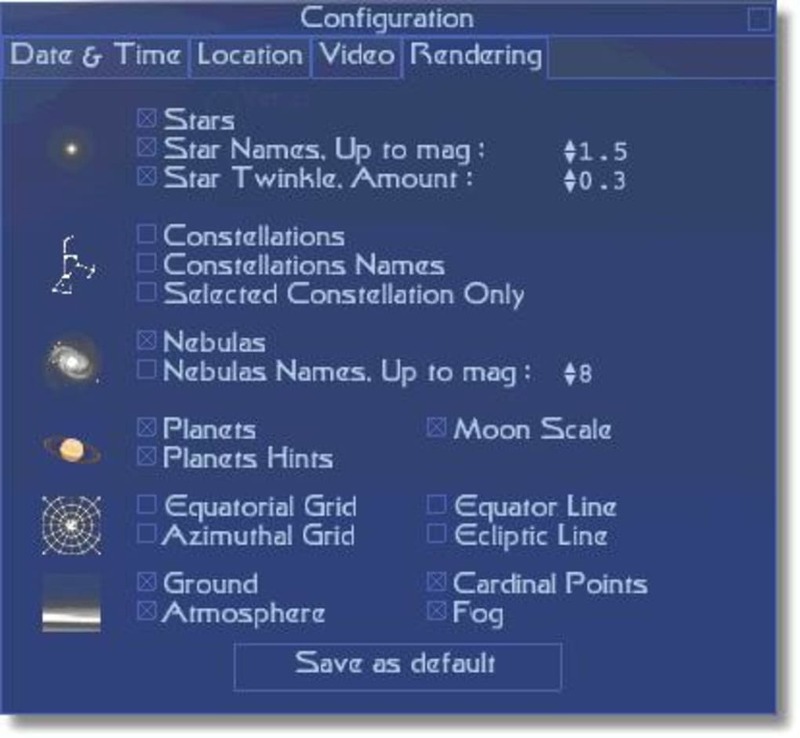 Impressive stuff for a few minutes, but once you’ve got the general gist of what Stellarium entails, you’ll quickly tire of zooming out to distant stars and watching as they slowly move across the screen. 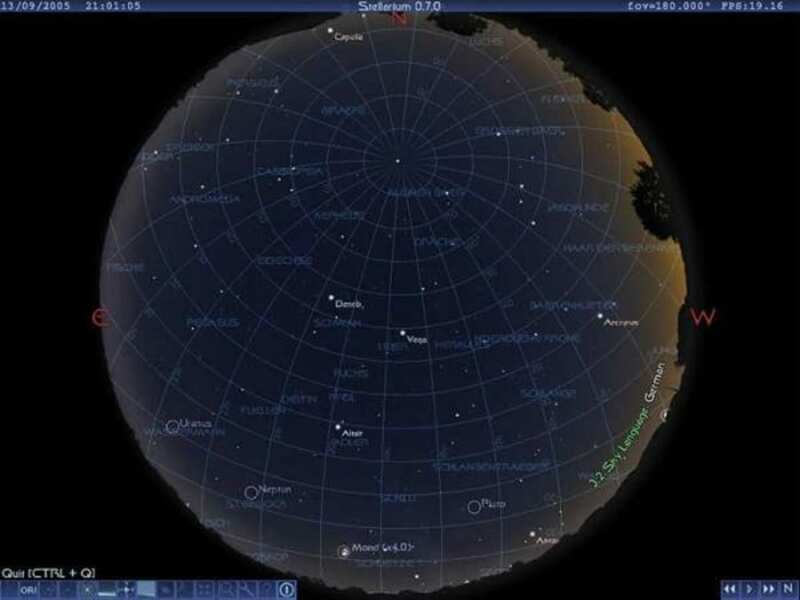 While Google Earth brings you detailed photos of our planet’s surface, Stellarium can only achieve a much lower resolution representation of the solar system’s planets, without mentioning the fact that stars are limited to simple white dots zipping through the sky. With over 120,000 stars accurately plotted out in this virtual planetarium, it’s obvious that a lot of work has gone in to its creation. 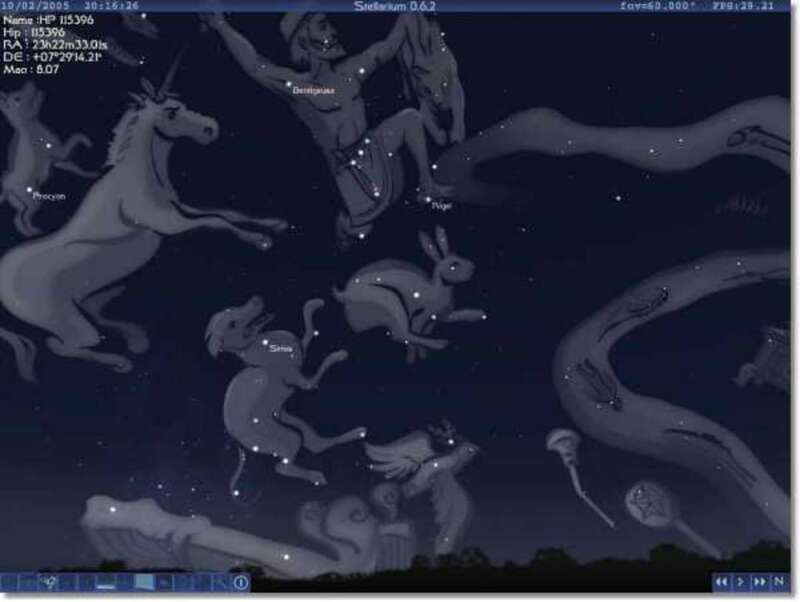 However, Stellarium's excruciating level of detail is likely only to appeal to the real die-hard star gazers. Look at the night sky from your hole or anywhere - for free!. 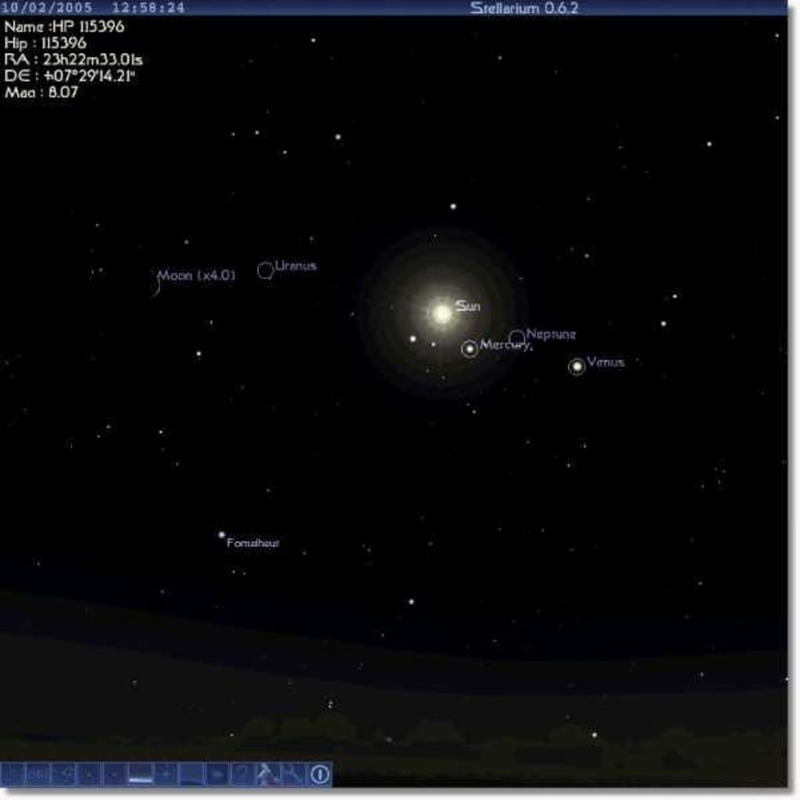 I attend an Astronomy group/class and we often use Stellarium. It allows you to look at the nightsky from anywhere on earth, or even away from the earth (for example from the moon), and at any time in the past or future. It's difficult to fault and it's free! The ability to move time forwards or back and to move from one location to another. Decent, but needs to be more user friendly. Decent , but the included animations are confusing and very un user friendly. The app however is good if you want to use it as a guide to finding a certain star or planet before some night sky viewing. Awesome!!!. Love this app! Provides a lot of detailed info on stars and constellations. I can spend hours in it! Pros: Provides detailed info. A skywatcher's dream.. I love Stellarium. I use it on the patio at night. I've been using it for years and have it pretty down pat these days. I was impressed when the recent lunar eclipse ("blood moon") showed up exactly the correct color in Stellarium. Best program ever. Best program ever. I can't find anything better. Install it and enjoy.